Premium quality genuine longwool lambskin cushion/pillow cover with either one or both sides made from genuine sheepskin. Beautifully made from carefully selected lambskins. Unlike many pillows/cushions that are made from numerous small sheepskin scraps, ours are typically made from about 5 large pieces from the same lambskin pelt to ensure a good match. 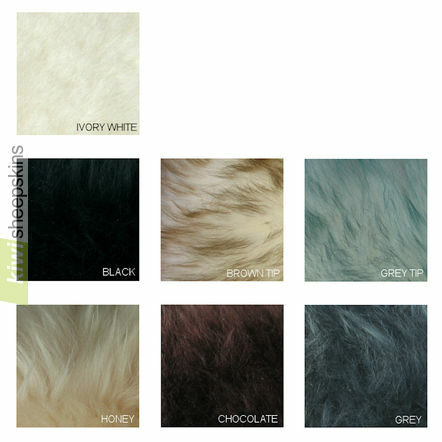 Square pillow covers available in 7 colors to match our long wool sheepskin rugs. Double-sided version has a zipper down one side. 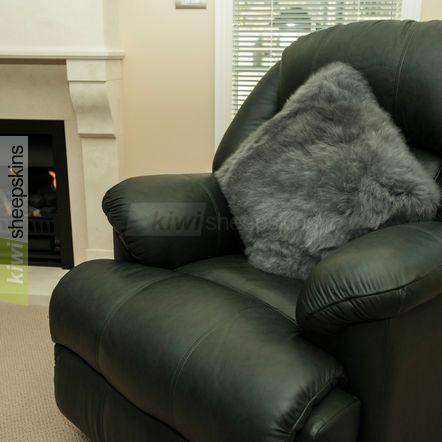 Proudly made in New Zealand to the highest specifications. As the pillows/cushions are made to order, we can't cancel an order if work has started on your cushion and exchanges/refunds aren't possible (unless defective). Due to the way the natural wool absorbs the dye, precise uniform coloring of the tips is not possible. 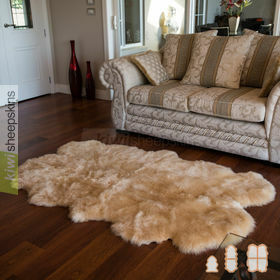 Some tip-dyed rugs may have heavier, darker looking dyeing than others. Normally any color can be shipped in 4 to 16 days. 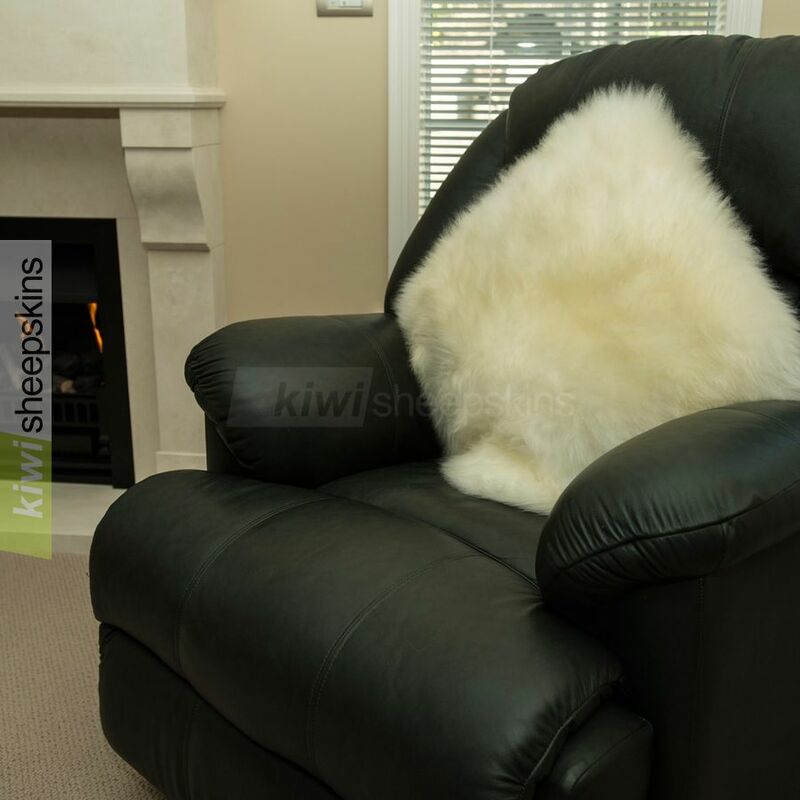 Feedback from delighted customers relating to our sheepskin pillows/cushions. 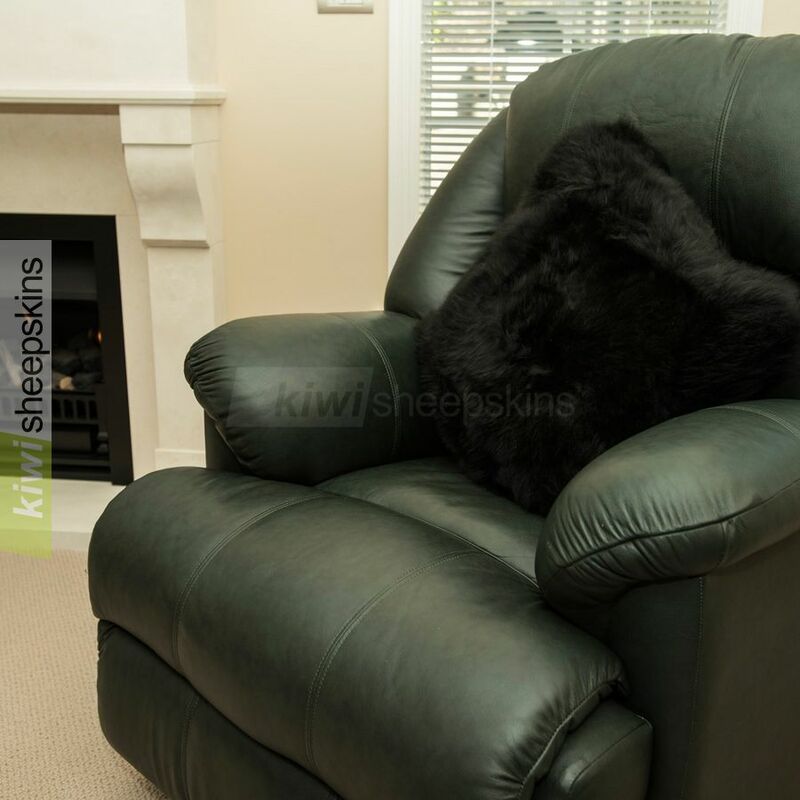 Thank you kindly for all the information which was provided in producing these cushions which are outstanding! I received them today at the Office and they are simply the most beautiful cushion covers I have ever seen....am I getting carried away??! Indeed they are wonderful and even better than I had imagined, so beautifully put together. You should be so proud of the product. Again, sincerest thanks for making this experience such a pleasure and feel free to use my compliments on your web site. 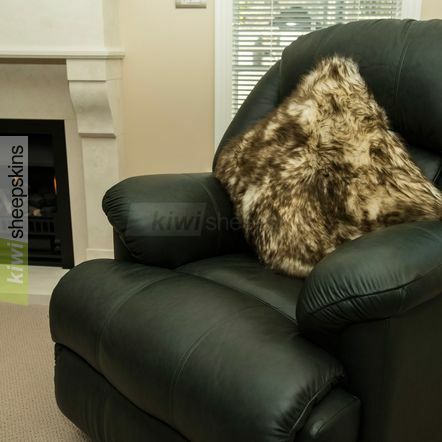 Just to let you know that the sheepskin cushion and the men's slippers have arrived as promised. I'm really thrilled with the quality of service offered by Kiwi Sheepskins, and the products themselves. The cushion is divine, so fluffy and soft and compliments the all white theme of the manchester I have. The slippers are gorgeous, a gift for my father who will enjoy having warm feet this winter. Thank you for offering excellence in service, a personal touch which is much appreciated when buying online. 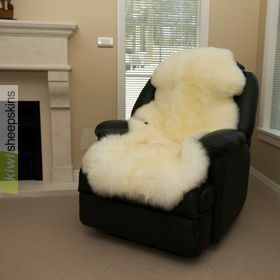 The sheepskins pillows surpassed all my expectations. The detailed finishings of the pillows are superlative. The skins themselves are breathtaking and the Wolf Tip design is exquisite and perfect. I will always come back to you for new orders and appreciate your patience with my nervousness about where the orders were. Thank you so very very much! Thank you, the parcel arrived in less than one week. Well done. The cushion cover is lovely. Just wanted to let you know we received our order and everything is awesome! Thanks for your prompt service.